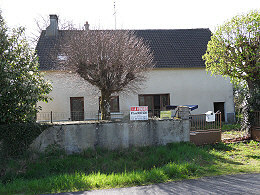 Your ideal property for sale in Creuse, Haute Vienne or Corrèze might just be one of our recently registered properties. Whether you are looking for a cosy cottage, a spacious family home, a country residence or a plot of land, we always have a wide selection available. 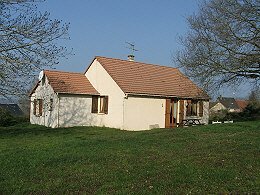 Everybody likes a bargain, so we also feature on this page our property for sale in Limousin that has recently reduced in price. Keep an eye out for these as the vendors are keen to sell! 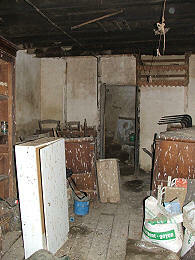 Well-maintained house and barns to renovate. 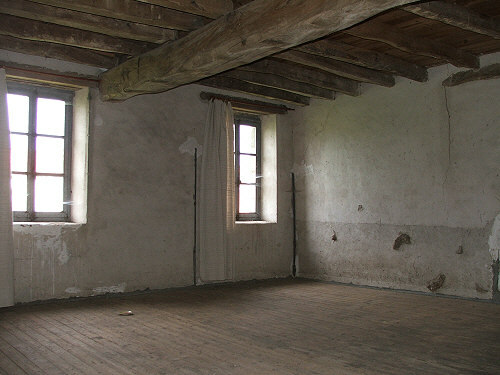 One main room with open fireplace and bread oven, and one other room downstairs. Upstairs, 3 bedrooms with convertible loft above. 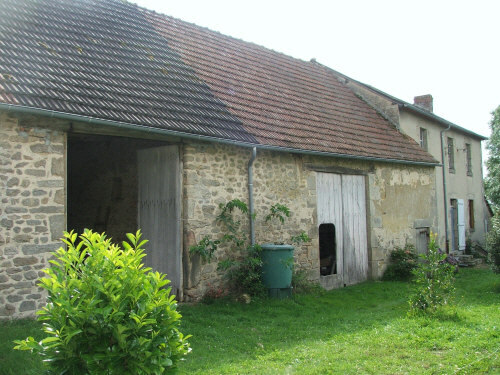 2 attached barns in good condition. Enclosed 4076m² garden. 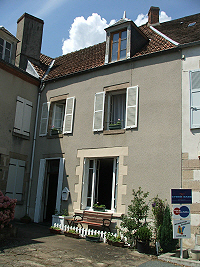 A Creuse townhouse with character that was previously part of the chateau, at the heart of a popular market town. 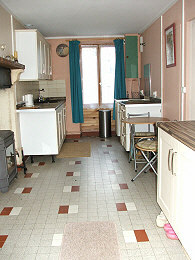 Lounge/dining room with original built in cupboards, kitchen, utility rooms, 2 double bedrooms, bathroom and separate toilet. Energy rating: not given. The house is in good condition, offering comfortable accommodation and it is being sold furnished.At the back of the house, the barn is used for a garage and storage area. There is a large convertible loft above. A separate garden is ideal for picnics or a vegetable patch. A very pretty stone house to renovate. The walls and roof are in good condition. One 50m² room downstairs with large windows. Upstairs is a mezzanine with 2 rooms and a loft above. Energy rating - exempt. Small outbuildings on both sides can be used to extend the downstairs. 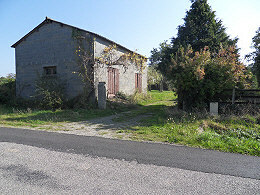 There is a non-attached barn at the back, also in very good condition. The garden at the front and the rear courtyard can be enclosed. A separate plot that could be used for a vegetable garden or an orchard is within easy walking distance. Must be seen to be appreciated. A substantial property offering a 2 bedroom house with several outbuildings standing in its own grounds of over an acre. The accommodation is all on the ground floor at the moment with the potential to extend into the loft. 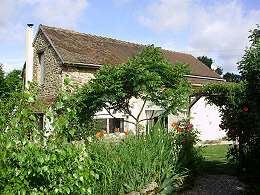 It is in a tranquil setting on the edge of a small village. Shops, local amenities and the motorway are within easy reach. The owner needs to sell and has reduced the price to encourage a quick sale. 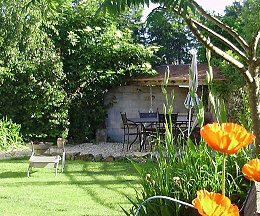 Situated near Oradour-Saint-Genest, this Haute Vienne property was formerly 2 cottages that have now been converted into a house. Offering sitting room, kitchen diner, bedroom and shower room with toilet on the ground floor. Upstairs is a convertible loft. There is a good sized garden with a wood shed and a garden shed. The property is in a hamlet, at the end of a land and has uniterrupted views over the valley. 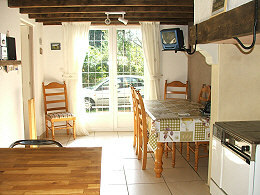 Welcoming and comfortable cottage within walking distance of a beautiful pleasure lake. 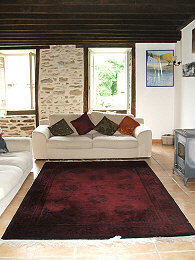 Open plan living, dining and kitchen area with stone floors, beams and fireplace with a woodburner. Downstairs shower and toilet. Three bedrooms, landing and bathroom upstairs. Energy rating: blank. Attached barn. Rear private garden. Must be seen. 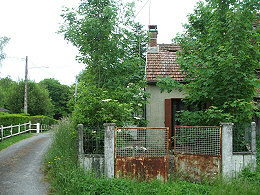 A small house requiring complete renovation. Offering porch, kitchen, lounge, 2 bedrooms, bathroom and WC. Major works required - roof and ceiling. Energy rating: exempt. 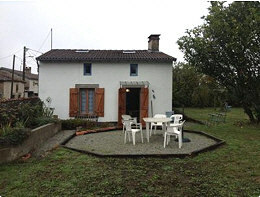 Enclosed garden and a separate plot of land. Potentially a pretty house in a quiet country village, with easy access to amenities, shops and attractions. 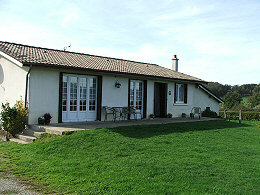 A bungalow built in 1987 enjoying lovely countryside views. It offers an entrance hall, a living and dining room, a fitted kitchen, utility, 2 double bedrooms, bathroom and separate toilet. To the side is an attached garage and a garden storeroom and it stands on 1.25 acres of land. Local shops and amenities, as well as tourist attractions and lakes, are easily accessible. 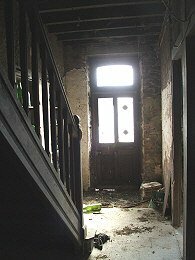 House in need of complete renovation. Entrance hall and 2 rooms downstairs. 3 rooms upstairs, attic above. Energy rating - exempt. Garden. Not far from Cheniers and the Three Lakes. A beautifully renovated barn set back from the road that nicely combines character with modern comforts. The ground floor comprises lounge with woodburner, an equipped kitchen, dining room with patio doors onto the terrace, utility room, washroom, and a downstairs bedroom with en-suite bathroom. Upstairs are 2 double bedrooms and a bathroom/WC. The house is insulated and has double glazed doors and windows. Energy rating: F. The garden has sitting areas, is private, and overlooks the fields at the rear. Just a few minutes from a large pleasure lake in one direction, and the charming Valley of the Painters in the other. 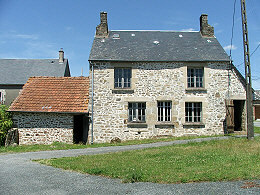 Stone built detached house in very good condition. 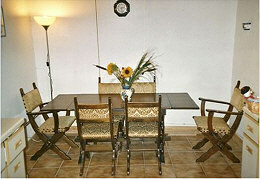 Lounge, dining room, fitted kitchen, 3 bedrooms, 1 with en-suite bathroom, and family bathroom. Energy rating: C. Plumbing and electrics renewed in 2002. Well insulated, double glazing throughout. Garden to all sides. Quiet setting with no passing traffic, in the countryside. Must be seen. Lounge, fitted kitchen diner, 2 double bedrooms (one with a balcony), bathroom/WC. The house is double glazed. Vaulted cellar, garden shed. Back garden and a separate plot close by with a small garage. Ideal holiday home or first time buy. 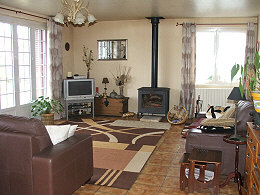 Easy access to the motorway, situated halfway between Limoges and Chateauroux. Must be seen. 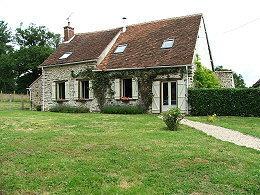 Delightful house in a quiet countryside setting. Through kitchen diner with a fireplace, lounge with fireplace, rear hall and WC downstairs. Upstairs, 2 bedrooms, landing and bathroom/WC. Fully double glazed, walls and roof insulated. Energy rating: G. Electrics renewed in 2012, septic tank conforms. Barn, outbuilding, garage and hangar. 933m² land. Near the Three Lakes. Must be seen. A modern 2 bedroom bungalow on the outskirts of a village enjoying countryside views. Briefly comprises spacious lounge, kitchen, 2 double bedrooms, bathroom and WC. 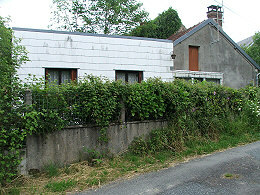 2 garages and outbuildings. Garden to all sides. In a peaceful location yet only 5 minutes from a market town. 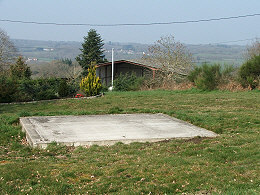 Easy access to motorway and Limoges airport. 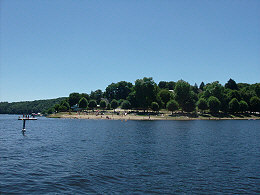 Lakes and tourist areas nearby. Are you looking for somewhere to stay in the area? 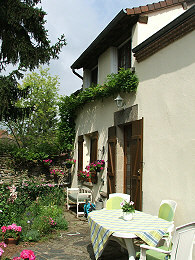 An end terrace property for sale in Creuse, in an area of outstanding beauty. 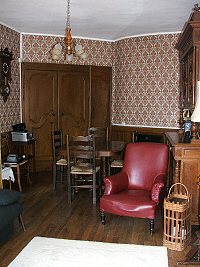 On the ground floor is a main room, a side room and a small back room. Upstairs is a blank canvas. Traditional features include an open fireplace, exposed beams and stone walls. 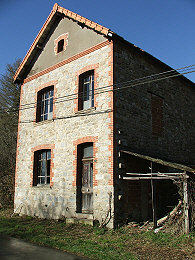 It is in need of renovation, and would make a great home in a lovely area. There is a garden just along the lane. 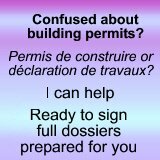 If you do not find a property for sale in Creuse that you like amongst our current listings, register with us to benefit from our free dedicated property search assistance. Alternatively, subscribe to our RSS feed to receive updates as they happen. You will find the relevant buttons at the top and to the right on this page. 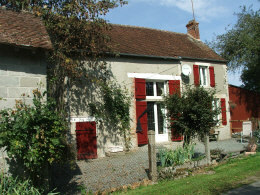 Property for sale France - country estate with a manor house offering 3 reception rooms, fully fitted kitchen, 4 double bedrooms. 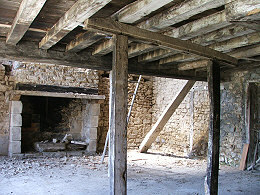 Cellars, garages, outbuildings. Gardens, pasture, woodland, lake. 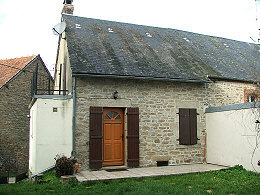 A farmhouse originally built in 1869 with attached barns in Creuse. 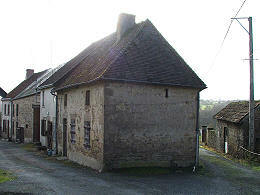 We have more Limousin property for sale on our website.